Most people do not understand how mutable the world truly is. Most people do not realize that they hold the power to shape reality. But a few do, and they are called mages. Mages know that reality is a lie, or rather that any reality can be truth. The mages of the Traditions believe that mankind is destined for Ascension, that we can all be led to a greater relationship with reality. But other mages are less caring. They want their truth to be the truth. Collected herein are seven stories set within the World of Darkness, a world much like our own but wherein the supernatural exists and where dark forces beyond the sight or comprehension of mankind are at work. 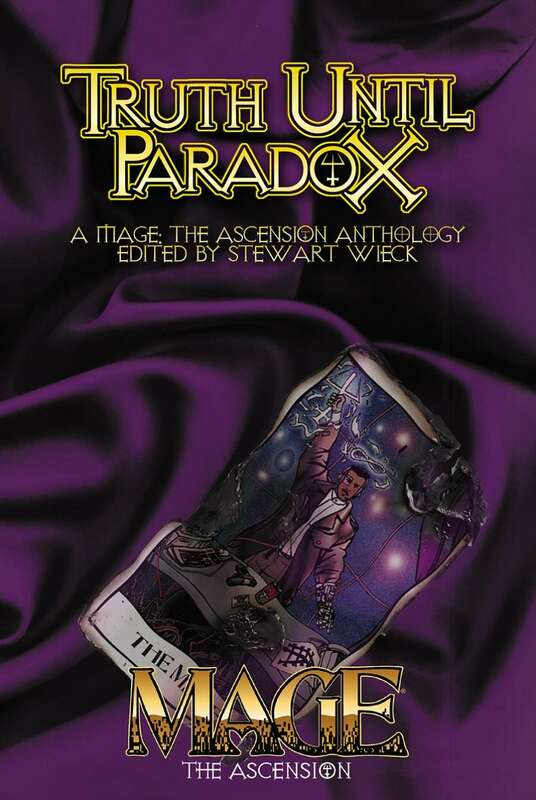 These stories have been selected and edited by Stewart Wieck, creator of Mage: the Ascension and co-creator of the World of Darkness. Judging by the table of contents, it's been revised via chainsaw. More than half of the book was removed!